Utah based company that focuses exclusively on helping disabled workers find financial security in the midst of catastrophic injury or illness. Mr. Jake Lee is the founder of Summit Disability Law Group. 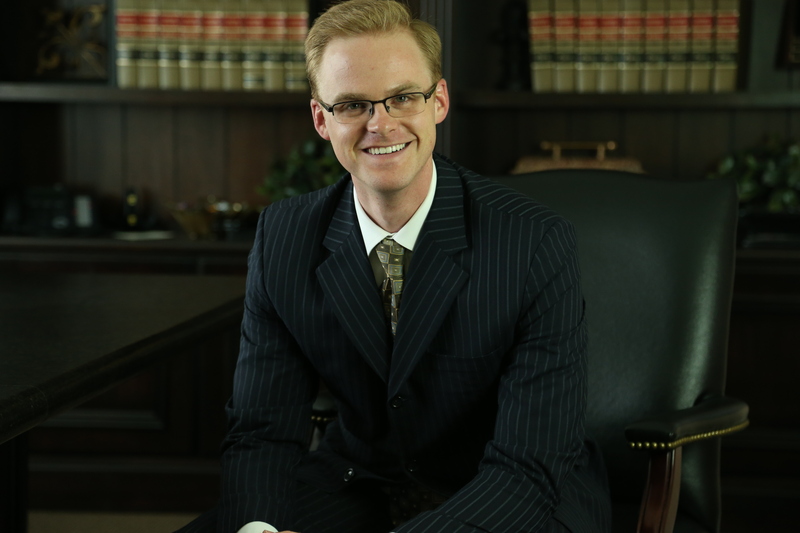 He is authorized to practice law in all courts in the state of Utah. Having started his career at a personal injury law firm, Mr. Lee discovered very early how disabling injuries and diseases affect individuals and families. His career led him to focus his research on a variety of disabling conditions and their impact on society. From those experiences he created the Summit Disability Law Group. Today Mr. Lee dedicates his practice to representing seriously disabled persons in Social Security disability claims. Summit Disability Law Group is a Utah based company that focuses exclusively on helping disabled workers find financial security in the midst of catastrophic injury or illness. BusinessInterviews.com: Can you share some common mistakes people can make when it comes to making a claim for disability benefits? Jake: The #1 biggest mistake I see people make is not taking advantage of all 3 stages of the claims process which culminate in a hearing before a judge. Disability cases are routinely denied at the first and second stages of the claims process. Claimants become discouraged and give up. I regularly see people who have made 3-5 applications and when I ask them why they never went to a judge, they respond that they had previously been denied and didn’t think a judge would take them seriously. On average, in Utah, 66% of claimants are denied at the first stage, 89% of claimants are denied at the second stage, and 33% of claimants are denied at the third stage. The numbers make it obvious that all claimants should proceed to the third stage where they meet with a judge. The #2 biggest mistake I see is the assumption potential claimants make that because their doctor has recommended disability for them, or their doctor has said they’re disabled, they will automatically be approved. This is false. There is a 5-part legal definition of disability for Social Security. You must prove that you meet every part of that definition to be approved. To do this you will need regular treatment and detailed completion of the forms Social Security sends you. The #3 biggest mistake I see is exaggeration. A huge part of making a successful claim is proving that you are credible. Exaggeration about your disability, your past work, or how your disability limits your activities of daily living will destroy a disability claim. If claimants just tell it like it is, and how they experience it, they will be fine. BusinessInterviews.com: What are some common myths or misconceptions about social security disability benefits that our readers should be aware of? Jake: The biggest misconception is that the disability program is a welfare program. Many disabled workers don’t want to feel like they are taking handouts from the government. So, they don’t make a claim and struggle through financial instability. The Social Security Disability Insurance program is designed to serve only those who have contributed to the system through their many years of work. You pay in during your working life and you draw out in times of catastrophic injury or illness. Workers essentially pay for disability benefits their whole lives. Not taking advantage of these cash and medical benefits when you need them most would be like a starving person paying for 3 meals a day for the rest of their lives and never eating the food. Another misconception I see is that many people don’t think they will ever become disabled and so they don’t plan ahead. However, the census bureau has documented that 1 in 5 Americans have a disability. It is almost impossible to predict how or when a disability may affect your life. But it is very possible to prepare for a catastrophic event. With such a high number of disabled individuals in the United States, it’s a good idea to plan for how you will pay your bills, keep food on the table, and get the medical treatment you need if you experience a catastrophic injury that prevents you from working. BusinessInterviews.com: Can you talk about your motivation behind creating an outreach program to educate doctors and social workers about the Social Security disability process? Jake: Social Workers and hospital case workers are typically on the front lines of those dealing with disabling injury or illness. Many of these professionals know their clients need to get on disability, but don’t know anything about how to help them start a claim or how to avoid destructive mistakes. When these cases end up in my office, sometimes they are damaged beyond repair. Being educated on the process allows them to provide a much needed service to their clients and provides their clients with a much greater likelihood of success at the moment when they need it most. As far as the doctors go, you cannot make a successful claim without the help of your doctor. The doctor’s notes and opinions are essential to helping the Social Security Administration understand the limitations a claimant experiences. Many doctors don’t understand how important they are to the case and are nervous about getting involved for fear they will be called in to testify in court. We help them understand their role in the case and that they will not be called to testify. BusinessInterviews.com: Congratulations on your recent book, “The Utah Social Security Disability Handbook.” What inspired your decision to write the book and what do you hope that the average reader walks away with? Jake: There is a lot of misinformation circulating around about Social Security disability. The available information that is accurate is extremely hard for the average reader to understand. So, my book is intended to be an easy-to-understand consumer guide. It explains about how to be eligible, the process and how long it takes, what you have to prove to make a successful claim, major mistakes to avoid, and discusses whether or not you need an attorney. I hope that this gives the average reader the tools they need to decide whether or not this program is a realistic option for them, and what to expect if they choose to move forward. BusinessInterviews.com: What are the most important questions that a potential client should be asking their disability attorney? Jake: It is very difficult for the average person to measure the knowledge an attorney has. So, the first things a potential client should be measuring about a disability attorney is whether they feel comfortable communicating with the attorney and whether they feel like they can trust them. Trust is essential in the attorney-client relationship. The next thing to ask is whether the attorney handles many different areas of the law or focuses on disability cases. No potential client should entrust their case to someone who knows little about this area of the law. There are too many ins and outs. Finally, you should pay attention to how the attorney treats you. If this attorney handles so many cases he is barely involved in any one case for very long, he will not be able to give your case the attention it deserves. BusinessInterviews.com: Can you share some trends within the Social Security disability landscape that our readers should be aware of or pay attention to? Jake: Because of some demographic changes in the population of the United States, Social Security may only be able to fund 80% of the benefits beneficiaries are entitled to in 2016. Congress has the capacity to fix this by simply re-directing a small percentage of the FICA taxes from the retirement trust fund to the disability trust fund. It’s a practice that has been done several times in the past to save the retirement trust fund when it was running low. Everyone should take the opportunity to write to their representative to express their concern and encourage their representative to vote favorably for such a measure. Another recent trend is that Social Security is starting to invite people to teleconference hearings instead of in person hearings with a judge. We believe that a claimant has a far better chance of success if the hearing is in person.